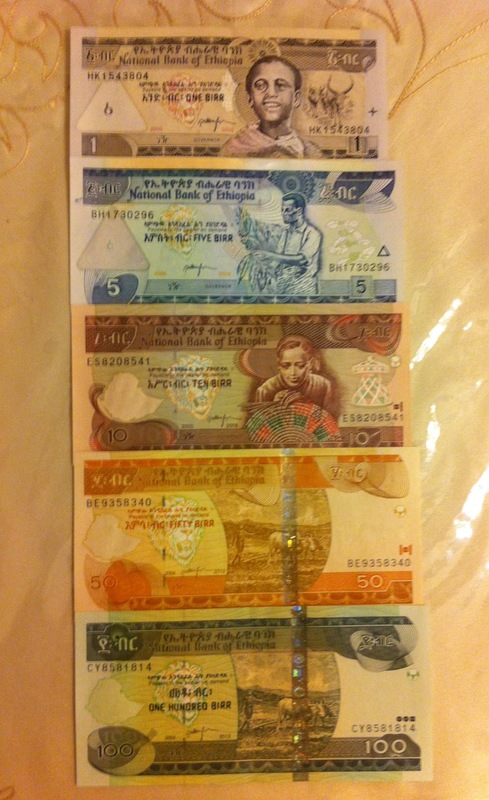 Complete set of Ethiopian Birr. The banknotes are all UNC. The set includes 1, 5, 10, 50 and 100 Birrs. Beautiful banknotes for your collection. Build your collection of Africa by dropping me an email, if interested in adding the Ethiopian set in your collection.